How Much Does It Cost To Install A Video Surveillance System? Security cameras are great and you may mount them on any exterior covering and vinyl siding is one of them. You need to use a mounting bracket and screws, but also a sturdy place, with no unobstructed viewpoint. You have to mark and predrill the holes through the siding, though and only afterwards install the brackets. Begin by choosing the best mounting location for the camera. Choose an area with no trees and with a clear view. Decide for a location that has only ladder access so that no one tampers with it. Use the ladder and climb until you get to the vinyl siding near your roof. 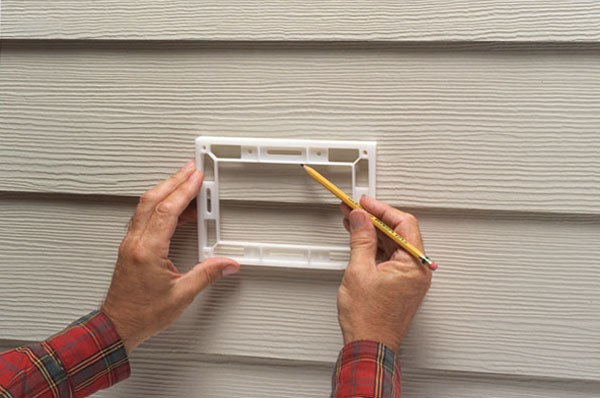 Place the mounting bracket up to the vinyl siding and mark the screw holes. You also need to mark the holes for the wires if you go for a wired camera and not a wireless one. You have to check the underlying wall structure and measure the depth of the vinyl siding with a tape so that you know which type of drill bit you need. Use a ¼-inch diameter drill bit that has a similar deep plus 1 inch. As you squeeze the drill trigger, drill through the siding until you feel it slide forward. Drill until the piece of tape is flush with the surface of the siding. Continue by drilling the remaining marks the same way. 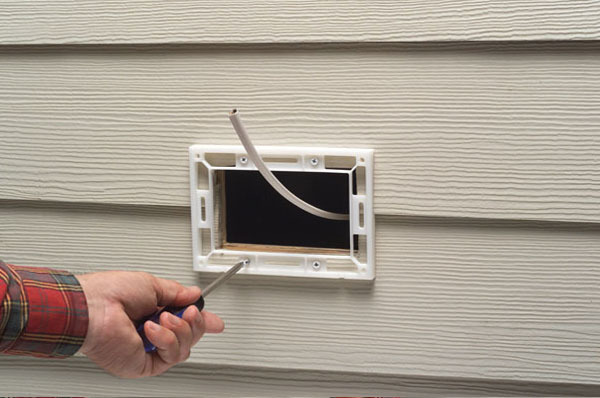 Hold the camera up to the vinyl siding so that the screw holes are in line with those in the wall. Insert each screw through the hole and tight them safely with the drill. If you install a wired camera, push the wires through the holes you drilled. You complete the job by doing the same with the remaining installation. 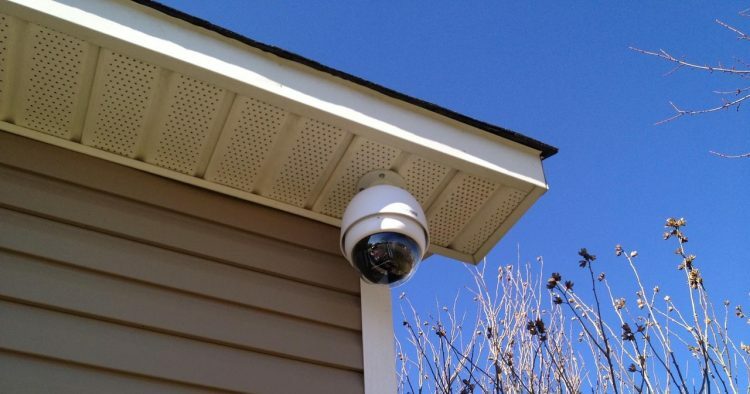 Some may find it a bit more challenging to mount security cameras under eave or soffit, but truth be told there are plenty of options out there. You only need to pay attention to the details, tough. For instance, some have difficulties to find the right studs/roof framing to mount to. After all, removing the soffits to identify the mounting location isn’t that easy anyways. When you use an outdoor mount, you do need to invert the camera (you may want to toggle flip view in settings so it appears the right way). The easiest way it has to see if you may temp mount (we all love duct tape for a very good reason). The location is essential so make sure the view is the best. If you mount it to high, you end up with seeing only heads. You should always find a place that is high enough and can’t be easily reached, but still gives you a good view. 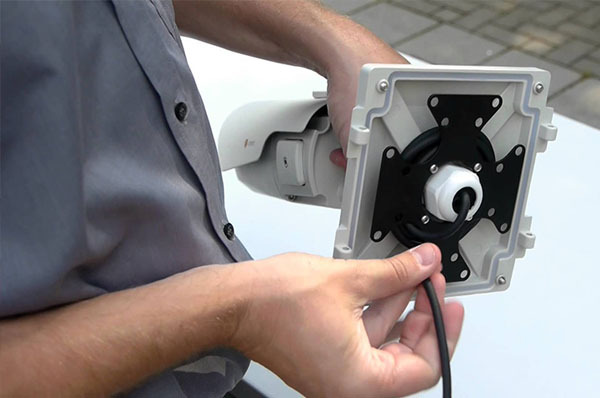 Another way is to use magnetic mount, which is not very easy to mount, but also so easy to remove when you need to charge it. If the eave or soffit have wood under the siding, it’s important to use screws that have the right length for the job. In most cases, though, some 2-inch screws are gonna be just fine for this kind of mounting. The 24-hour monitoring is quite common nowadays, and we find it business locations, but also quite a lot in the urban areas. If you’re thinking about installing one, you need to also think about the costs, as the list of equipment isn’t very short. You need to install a software on your home computer, to use a USB receiver, network-attached storage (NAS) devices or a DVR, and, obviously, you need the wireless security camera. 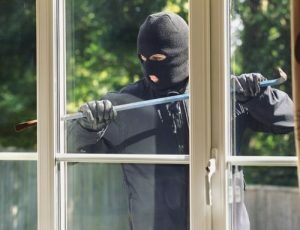 The most cost-effective option is probably to buy a kit that includes a number of cameras, DVR and all the jacks and accessories necessary. Just add cables and some work, and the job is done. Of course, if you know what you’re doing :). At glance, let’s say you may pay for two digital cameras with LCD monitor somewhere around $500, around $200 for the NAS equipment. If you’re contracting a licensed electrician, you should be ready to pay up to $400 for the job. These prices are helping you to make a general idea, as there are so many options and settings you may decide to have. The software may be free if you’re using a company website to log in and see what’s your system records. If you’re willing to step up your game, you may get higher-priced packages that let you remote operation using your mobile phone or the laptop computer. You also need to consider if you’re going to store the data recorded on a DVR or NAS. For IP video camera surveillance you should go with a NAS that is around $500. One thing though has the strongest impact on your cost and that is the camera. A cheap camera is around $100, but you may also get one for $1000. Tilt and zoom, the ability to pan, the microphone, and the Wi-Fi functionality are all features that determine the final price of the camera. Long story short? 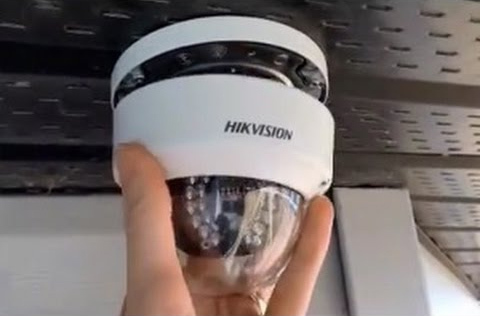 Prepare around $1000 for a good surveillance system and be ready to pay the extra buck if you want to get all the extras! 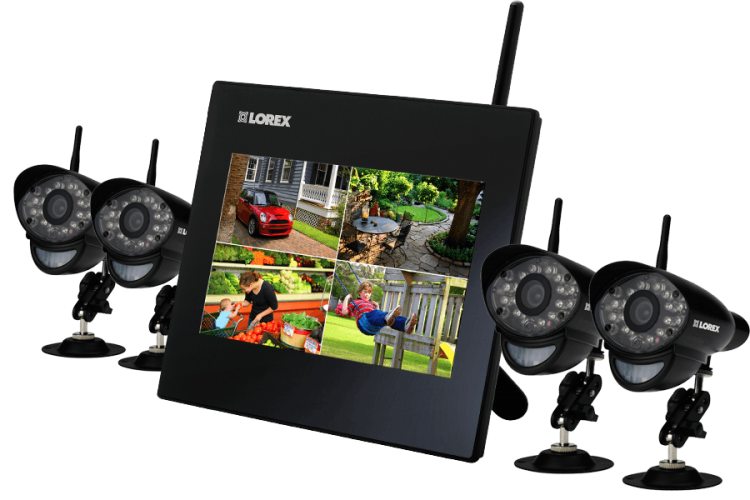 Top best outdoor surveillance security camera system for home CCTV you can buy online for a cheap price. This is not a top best sucurity camera system for 2017 list but the security cameras in this video are the best of all time with most rating user review online. © copyright 2017 www.olkc2015.com | All rights reserved.